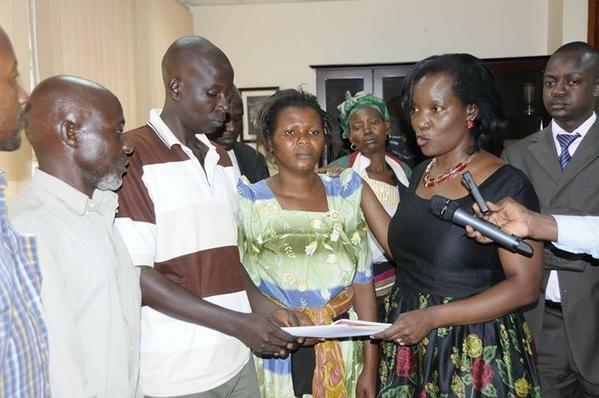 Government has today apologized for the death of a toddler at Kampala Capital City Authority (KCCA). The 2 year old baby died on Tuesday after it was run over by a vehicle belonging to Kampala Capital City Authority. Local Government Minister Adolf Mwesigye has apologized before parliament, saying that the issue is to be investigated by the various government agencies. He added that the ministry of internal affairs would make a statement on the matter next week. This was after Rubaga South MP John Ken Lukyamuzi petitioned parliament calling for investigation of cases of brutality by KCCA officials. Quoting article 1 of the constitution, Lukyamuzi says every Ugandan citizen must be treated with respect and dignity. His Rubaga North counterpart Moses Kasibante says the government should come up with a comprehensive report and investigation into the law enforcement wing of KCCA. Kasibante also wants the family of the dead child compensated. Meanwhile, the Former vice president Prof Gilbert Bukenya has added voice to those condemning the incident. Speaking to journalists at parliament Bukenya said it was very sad and asked that those found culpable for causing the death of the toddler must face the law. He has also warned the city authority against brutality and mistreatment of citizens. The city executive director Jennifer Musisi and deceased’s parents have met this afternoon and agreed on an undisclosed amount in compensation. The body of the baby that had earlier been brought to parliament was finally laid to rest in Masajja this evening.